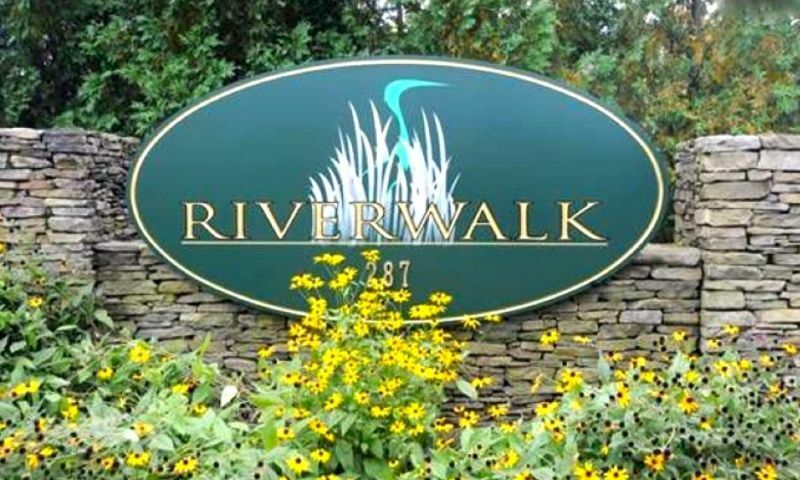 RiverWalk is a 55+ community located along the scenic shoreline town of Branford, Connecticut. Active adults enjoy a low-maintenance lifestyle with luxurious single-family homes. Homeowners can choose from ranch-style or Cape-Colonial home designs in a picturesque neighborhood. RiverWalk offers hombuyers aged 55 and better a park-like setting with walking trails surrounded by mature trees, gardens, and wildlife. Although RiverWalk has no clubhouse, active adults can gather at the pavilion or gazebo. RiverWalk offers 60 acres of scenic landscape where residents can stroll along the beautiful walking trails, enjoy the community garden, or chat with neighbors on a sunny afternoon right from their own front steps. Oakwood Development began construction of RiverWalk in 2007 and plans to build 60 residences upon completion. Homebuyers can select from ranch or Cape-Colonial home designs that all feature first-floor master suites. These luxurious single-family homes offer spacious floor plans that range from 1,436 to 2,600 square feet of living space. They have two to three bedrooms, two to three bathrooms, and an attached two-car garage. Single-family homes feature maintenance-free vinyl siding, elegant master bathrooms, luxurious fixtures, custom kitchen cabinets, and stainless steel appliances. Beautiful hardwood floors can be found in the great room, dining room, foyer and kitchen. Active adults living in RiverWalk can enjoy a low-maintenance lifestyle. The homeowners’ association (HOA) fee includes snow removal, landscaping, and lawn mowing. RiverWalk residents can have more free time to pursue individual interests or socialize with neighbors. Ideally situated along Long Island Sound, RiverWalk has access to plenty of marinas for residents who wish to pursue boating, fishing, kayaking and other water activities. Nature lovers can enjoy all of the 4,000 acres of nature preserves, salt marshes, and forests that are located within Branford. Active adults can enjoy all of the natural landscapes for hiking, bicycling, bird watching, and skiing. RiverWalk’s convenient location also allows direct access to Interstate 95 making it easy to drive to shops, restaurants, museums, and galleries. For big-city attractions, homeowners can visit Boston or New York City that’s about a two-hour drive away. And for farther travel, residents can board a flight at Tweed New Haven Regional Airport that’s only 13 minutes away. Active adults can enjoy a quiet 55+ neighborhood with elegant homes as well as a low-maintenance lifestyle at RiverWalk in Branford, CT. Check back soon for more information on the lifestyle in RiverWalk. RiverWalk offers luxurious single-family homes. Homebuyers can choose from a variety of floor plans that range from 1,436 to 2,600 square feet of living space. They have two to three bedrooms, two to three bathrooms, and an attached two-car garage. Please Note: Not all floor plans are available at this time. 55places.com is not affiliated with the developer(s) or homeowners association of RiverWalk. The information you submit is distributed to a 55places.com Partner Agent, who is a licensed real estate agent. The information regarding RiverWalk has not been verified or approved by the developer or homeowners association. Please verify all information prior to purchasing. 55places.com is not responsible for any errors regarding the information displayed on this website.